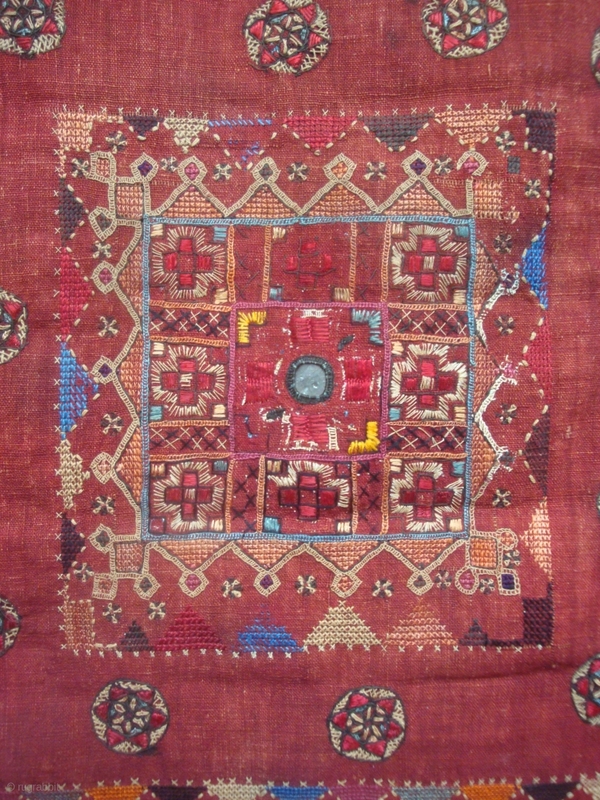 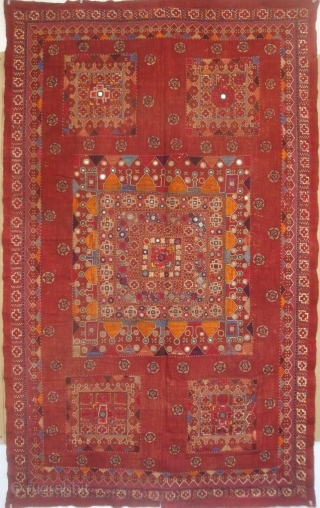 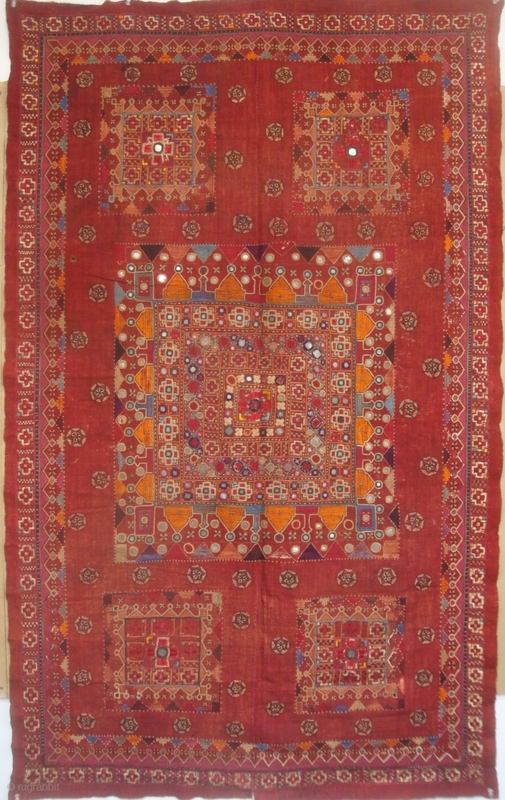 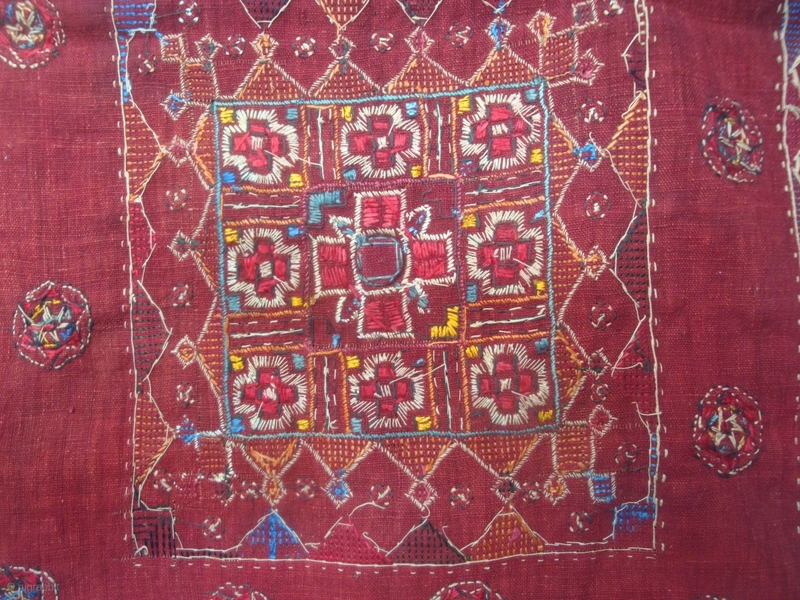 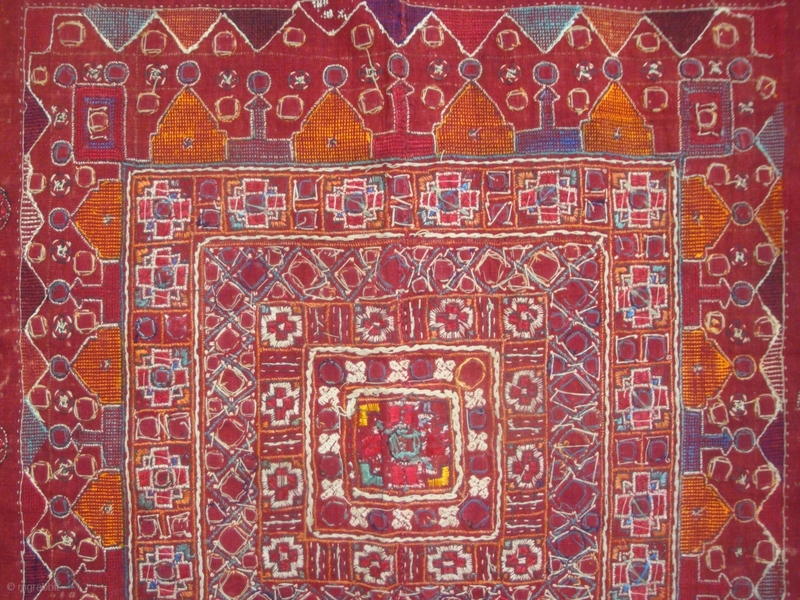 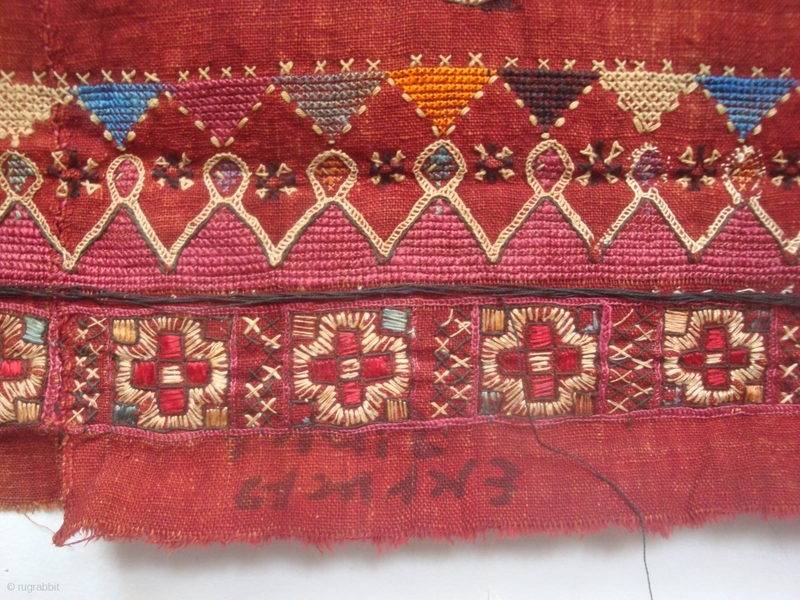 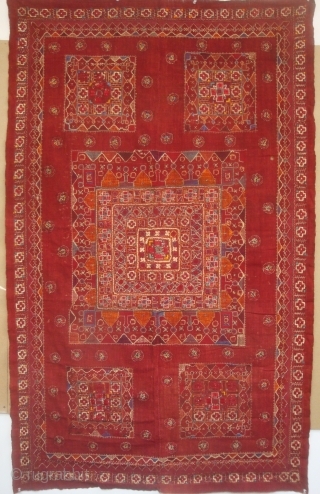 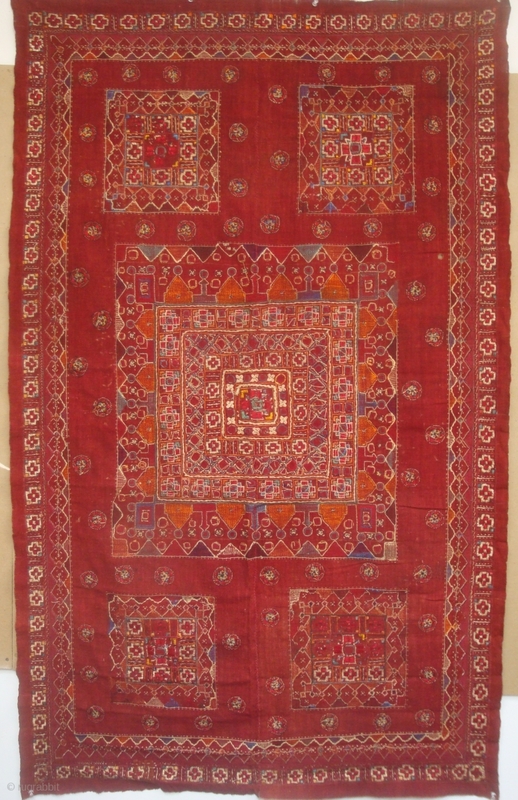 Rare and unusual old Indian textile, 38 x 63 inches, Silk and other materials embroidered on fine red cotton cloth, two pieces sewn together along the central vertical axis. 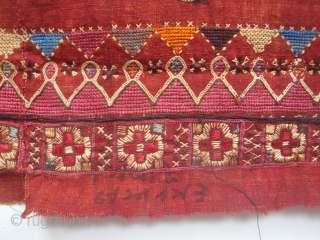 Dyes appear to be natural; no fading or runs. 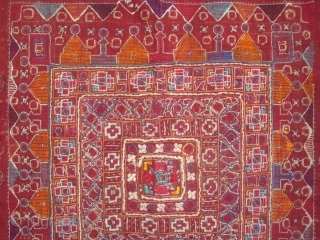 Minor spots of wear and one small hole in red field to left of central square.